It was a quiet beeping, sort of like a watch alarm, and at first I couldn’t quite place where it was coming from. 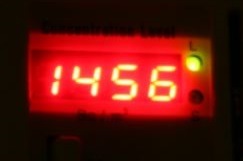 The sound led me to my radon detector, which was showing a truly alarming 1,456 Becquerels of radioactive gas in my basement! In Canada, the government has set 200 Becquerels as the maximum “safe” level of radon, so my house was positively glowing with radiation, at more than seven times over the danger limit. But my radon monitor had never shown such high numbers, what had changed to make my house so radioactive? The answer was easy and I’ll get to that soon, but let’s talk about why I have a radon monitor in my basement in the first place. I was in Winnipeg a few months ago speaking to the Manitoba Building Envelope Council about Passive House, on the coldest day of the year, of the coldest winter in 75 years (some underground water lines in the city are still frozen! ), which is where I met Eric Bjornson. Eric was my gracious host and guide for MBEC, and he also happens to be a radon remediation expert , operating a business called Radon Matters. Over a pint at McSorley’s Old Ale House, Eric told me about an electronic radon detector that is as accurate as the mail-away canisters. For someone like me who apparently lives right on top of a uranium deposit, this gadget was perfect, so I bought one from him, the best $140 I’ve spent in a long time. Radon kills three thousand Canadians every year, like wiping out 2/3 of Almonte’s population over and over again, or a fully loaded plane crashing every month (the Canadian government’s official statistic is that “only” 1,900 people were needlessly killed by this entirely preventable odourless, tasteless and invisible indoor air quality hazard in 2006, so it’s certain there were over 2,000 radon deaths this year, but let’s not quibble over exactly how many preventable lung cancers there are every year, let’s ask how many are acceptable!). Radon is the second leading cause of lung cancer after smoking, as well as the primary cause of lung cancer deaths among non-smokers. It more than triples a smokers chance of dying from lung cancer. At least 10% of all homes in Canada have highly carcinogenic levels of radon, putting more than 2.4 million people at risk. A friend of mine in Perth had the love of his life die of lung cancer in the prime of her life, despite never having been a smoker, and radon is most likely to blame. Yet all of this unnecessary suffering and early death is entirely preventable simply by following a few guidelines that every builder, renovator or homeowner should consider if there is any chance at all their home may be located in a radon-susceptible area (which means most of Canada, as this map from Radon Environmental Management Corp shows!). Test for radon for one year once the house is airtight and occupied. If it exceeds 100 Becquerels then install an in-line fan in the attic (which is why you pre-wired a junction box there) with a speed controller, to continuously depressurize under the slab (only 5 Pascals or less of negative pressure is needed to rid the house of radon). Why aren’t radon mitigation measures and / or radon monitors mandatory in all affected homes, if it can save thousands of lives? Surely it can’t be about money, since most people would gladly trade a few hundred dollars extra on the cost of their home for spending even one day dying of lung cancer! From what I can tell, it’s the real estate lobby who are against introducing legislation to keep Canadians safe. Now back to why that radon alarm in my basement went off and what I did about it. Kathryn and I live about half an hour from Sharbot Lake, you may remember a standoff there a while back between uranium mining interests and Algonquin land claims, and out here in Lanark Highlands our Canadian Shield granite is riddled with radioactivity. Before I started renovating our 1930s farmhouse, I tested for radon and it came out more than four times higher than the safe level, at over 900 Becquerels. After following the CaGBC guidelines and installing powered subslab ventilation, our radon readings in our renovated house were always below 60. A couple of weeks ago, I turned off the sub-slab radon ventilation fan to save the minimal 13 watts of electricity it uses on medium speed, reasoning that in mid-summer the house is well enough ventilated with open windows that we don’t need to worry about radon. 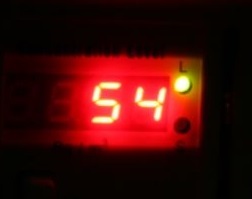 It was a few days later I heard the beeping from my Pro Series 3 Radon Gas Monitor warning me of dangerous levels of radon in the house, almost 1500 Becquerels – without a wintertime temperature difference, the passive vent stack wasn’t working at all! So I simply turned the sub-slab ventilation fan back on, and within three days we were back to well below World Health Organization guidelines of 100 Becquerels. So why on Earth doesn’t every house at risk have the ability to detect cancer-causing radon, and eliminate it instantly with the flick of a switch? It’s so easy and cheap to do, it’s a no-brainer even though Code doesn’t require sub-slab radon venting – yet. Radon kills, and the solutions are simple. Homesol is here to help! Give us a call if you’d like our assistance, or to borrow our radon monitor. 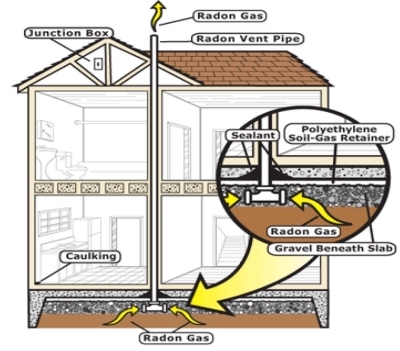 For more information on radon and what you can do about it, check out Health Canada’s website.